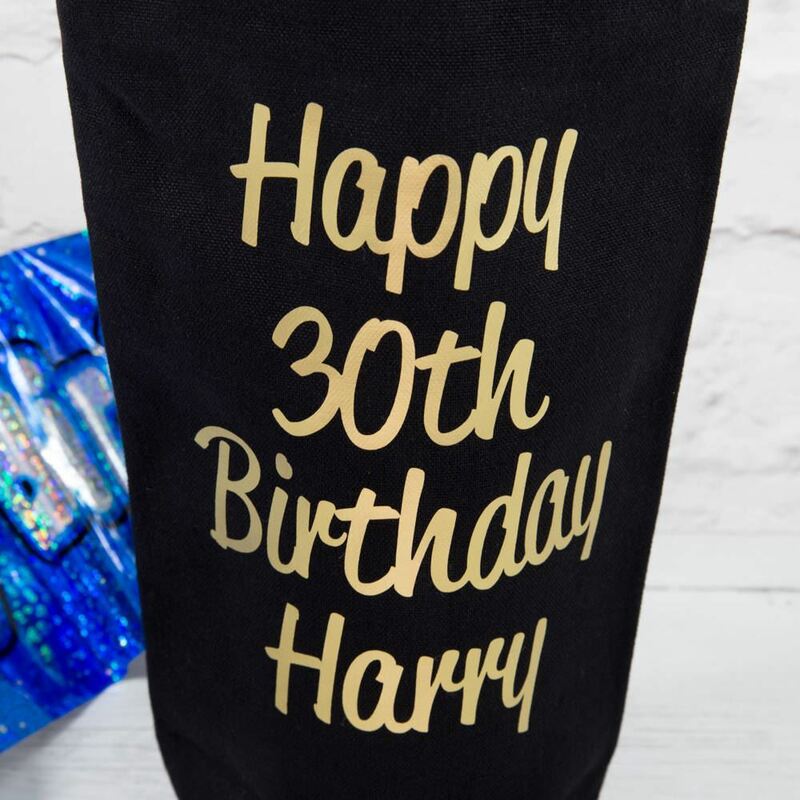 If you are looking for something a bit different to package up your prosecco, wine or champagne gifts, our personalised cotton canvas bottle bags make a great gift and are sure to impress. 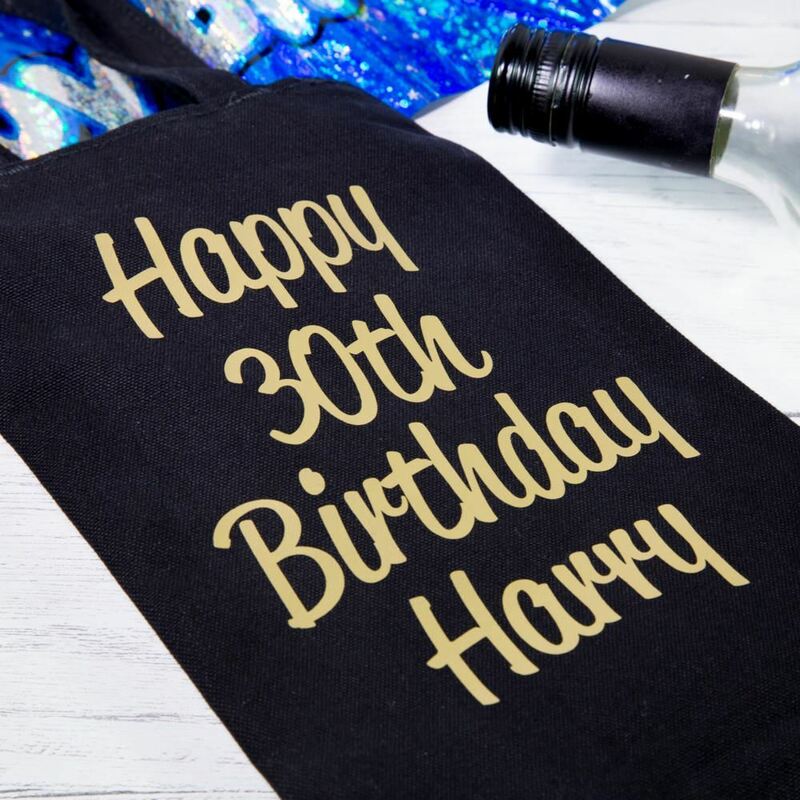 Each bag comes personalised with the message "Happy Birthday" and is finished off with the recipients name. 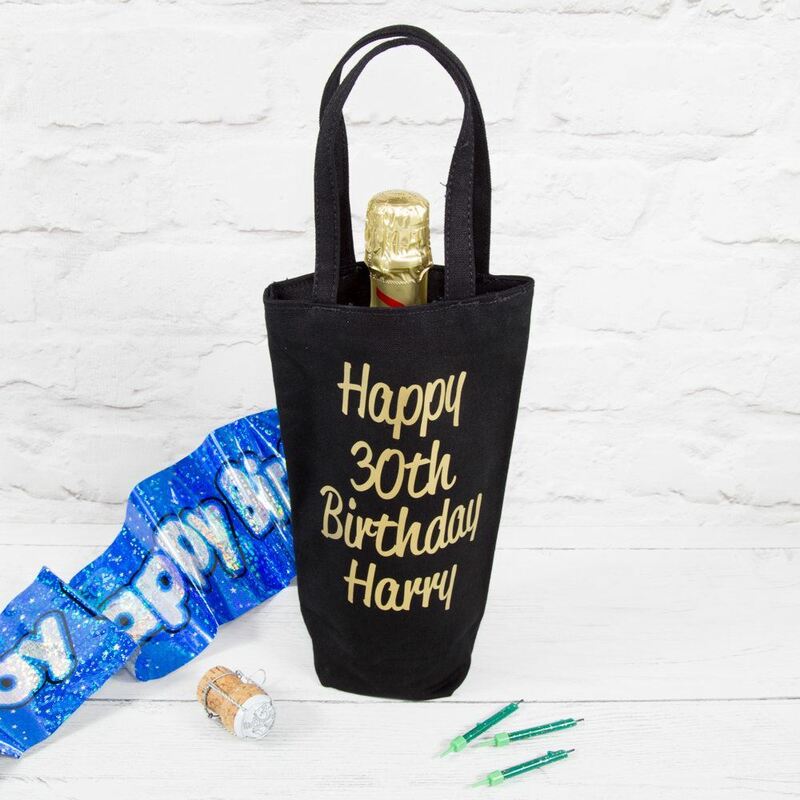 The bag measures 27cm x 8cm x 8cm and holds most bottles of wine, champagne and prosecco. Please note that the top of the bottle will stick slightly out the top so you may still want to wrap it in paper or tissue. Fairtrade Certified. Carry handles (30 cm long). Please enter the name of the recipient as you would like it to appear on the bag in the comments box when you place your order. The age is optional.